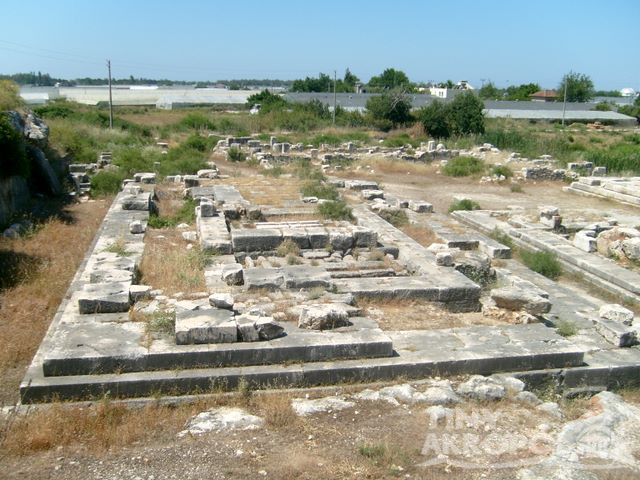 The ruins at the site of Pınara 49 km. from Fethiye include theatre,numerous rock tombs,public baths and a brothel.Nearby Letoon was an important religious centre for the Lycians.Its the site of three temples dedicated to the goddess Leto and her children Aphrodite and Artemis and other remains include a magnificent theatre.Finally the stunning beach at the Patara provides a welcome spot to swim and relax after a day of glimpses into Turkey's fascinating past. 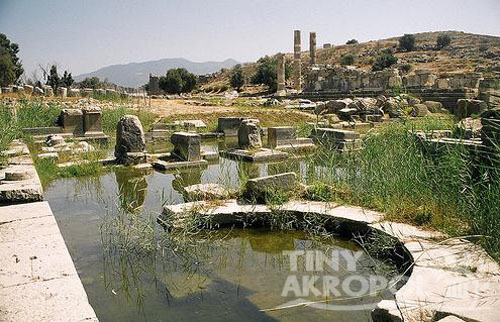 Letoon was the sacred cult center of Lycia and its most important sanctuary dedicated to the three national deities of Lycia - Leto and her twin children Apollo and Artemis. Legend has it that Leto was loved by Zeus, but was chased away by jealous Hera until Leto gave birth to her twins on the island of Delos. 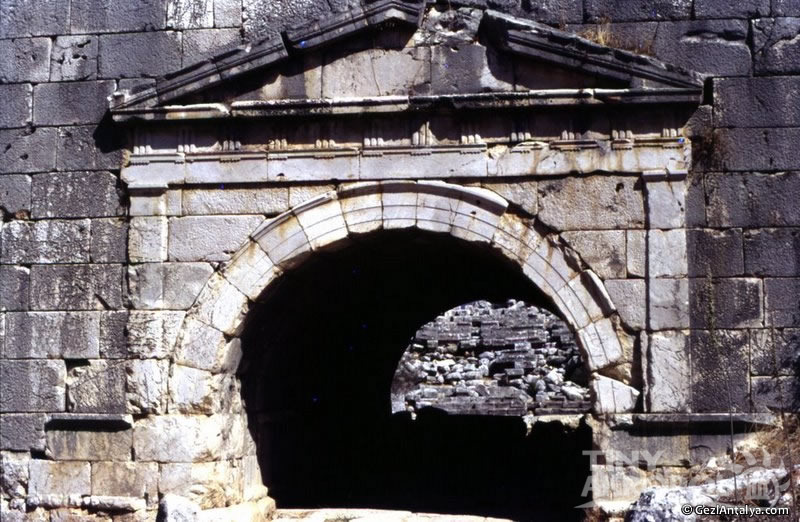 Another story gives the birthplace as the source of the Xanthos River. One story tells that shepherds angrily refused to let her drink from a fountain - she turned them into frogs in retaliation. Still another story says that wolves helped her find the Xanthos River. In gratitude she named the country Lycia: Lykos is Greek for wolf. Letoon was a sanctuary precinct and not actually a city, though it did have a settlement surrounding it. 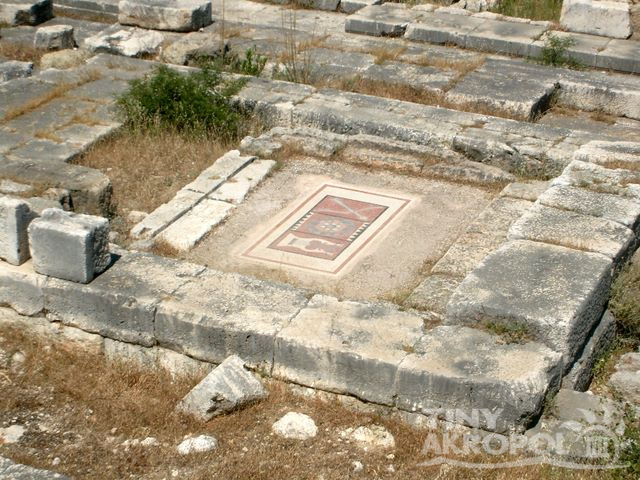 This was the spiritual heart of Lycia, its federal sanctuary and the place of national festivals. 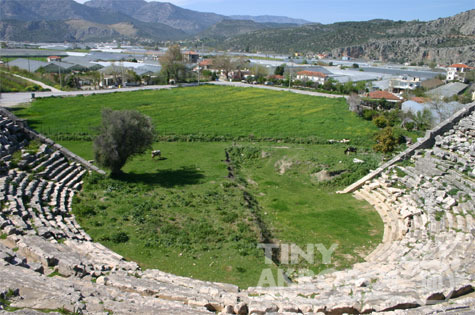 Letoon was the center of pagan cults activity until perhaps the 5th century AD when Lycia was ravaged by Arab attacks and the area started to silt up with sand brought by the Xanthos River. An inscription found at Letoon refers to the establishment of the cult as well as its rules for monthly and annual sacrifices - offenders against this were found guilty before Leto, her children and the Nymphs. The Lycian cult of Leto was one of the many forms of the wide-spread mother-goddess religion which originated in ancient Anatolia and spread throughout the ancient world. It is noteworthy that a woman was allowed to preside over the national assembly that was held each autumn at Letoon -A reminder of the ancient matriarchal customs in Anatolia.